The art of applique has a rich history. Often used to enhance the visual effect of fabric, today's creative fashionista knows the usefulness of appliques. With very little effort, last year's favorite sweater transforms into a must-have for the season. Beaded or sequined, leaf-shaped appliques, will add layers of interest and seasonal "pop" to an old garment. Start with a black long sleeve tee-shirt, this could even be a thrift store find. Lux looking rhinestone trim on the cuffs and hem will morph a simple everyday top into a glam party piece. Pair this with your favorite maxi skirt and you have holiday-ready look for far less than the cost of a boutique outfit. As old as the art of sewing itself, applique began as a cost-saving measure. Bits of leftover fabric covered small holes in clothing. The word itself, "applique" means "to cover" or "put on". What began as a means of extending the lifespan of a garment has evolved into a creative art form. Anyone can use appliques in their wardrobe transformation. If you are not deft with a needle and thread, most quality dry cleaning establishments will apply them for a modest cost. Think beyond clothing! Imagine what your sofa pillows would look like with some embellishment. 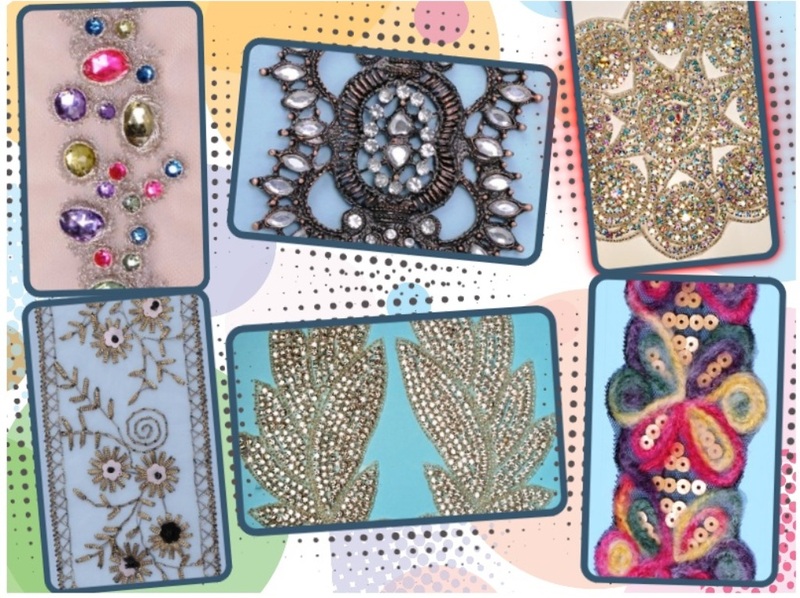 Everyday table linens, dressed up with bling, add pizzaz to a dining table. When it comes to fashion and design ideas, the possibilities are limitless. Fire up your imagination. If you think it - contact us, we can help you do it.